The Student Association discussed a previous Judicial Review Board case regarding Public Relations Committee Co-chair Torre Payton-Jackson during Monday night’s assembly meeting in Eggers Hall. Payton-Jackson said she yelled profane language during an incident with Speaker of the Assembly Will Pritchett and JRB Chair Vishwas Paul last Monday. She was put under review by the JRB, which found her not guilty for violating any bylaws. The JRB still found her behavior “unprofessional and improper,” according to its report. Payton-Jackson is not allowed to speak at any meetings for the next three weeks as a form of corrective punishment, according to Payton-Jackson. The JRB is in charge of overseeing SA’s actions and addressing violations of the SA Constitution and Bylaws. “I wasn’t the only person involved in this situation. There were other people yelling profanities, but I was the only person sent to (Judicial Review Board),” Payton-Jackson said in an interview. Paul gave a report that explained Payton-Jackson’s right to appeal next week in order to revoke her punishment. Paul said he was not involved in the investigation. 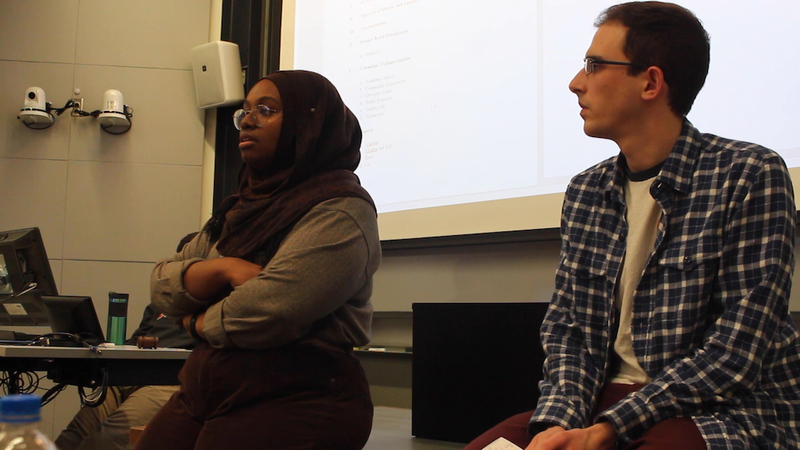 SA President Ghufran Salih and Vice President Kyle Rosenblum also addressed the issue of tension during SA meetings and how they will cultivate a positive environment. Rosenblum announced that the cabinet will hold meetings on Fridays at 4 p.m. The first half of those meetings will be a closed session where the committee will discuss how to better the organization’s infrastructure. The second half is open to students to voice their suggestions and concerns.